The island country of Sri Lanka is becoming one of the hottest tourist destinations. I will be sharing with you a suggested 5 days and 4 nights itinerary that will help you to see almost everything that the city Kandy in Sri Lanka has to offer. Before you can leave for Sri Lanka, you’ll want to make sure that you have your hotel booked. There are plenty of great hotels in the country. However, you’ll want to choose the most centralized hotel e.g. Randholee Resort & Spa or the Eden Garden Hotel. These hotels are fairly close to the most important attractions. Even if you’re not a religious individual, you’re definitely going to want to visit the Temple of the Tooth. 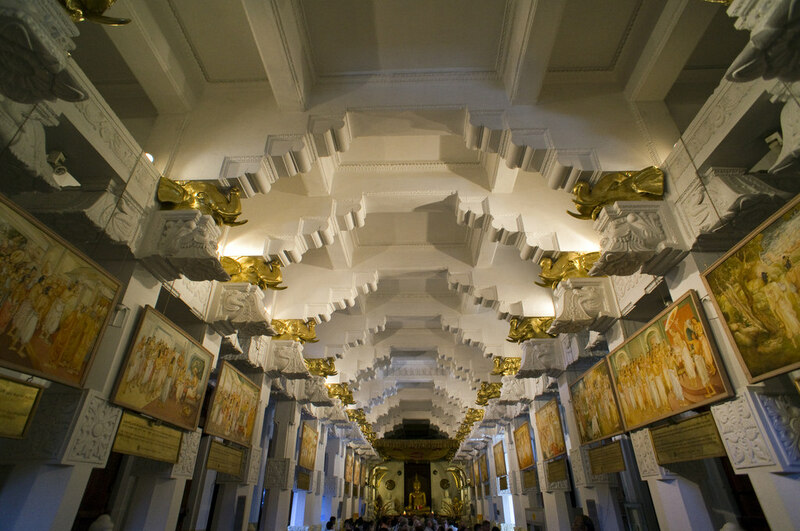 This Buddhist temple is located in the city of Kandy. Therefore, it will be very close to your hotel. The Temple’s construction was completed in 1595 and it was opened the same year, making it one of the longest running temples in the entire country. Once you’ve finished at the Temple of the Tooth, you should check out the Dumbulla Cave Temple. This one is a little further away from your hotel, but you should still have plenty of time. It is found on Jaffna Highway in Habarana. Near this location, you will find 80 documented caves and possibly even more. There are plenty of places to eat in Sri Lanka. The Swiss Residence and the Café Aroma Inn are pretty close to your hotel. Exotic Voyages can help you find great dining establishments in Sri Lanka. During your second day, stay within Kandy for some of the very best attractions. 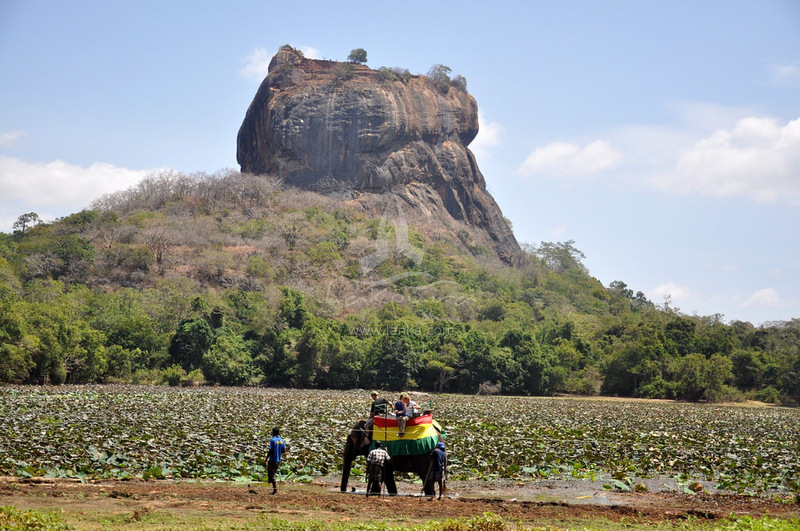 Here, you will find the Sigiriya. It is an accident rock fortress pretty close to Kandy. The massive rock column is almost 200 meters high. It has been said that King Kasyapa selected the site as his new capital. He then built a palace on top of the rock formation. If you’re an adventure junky, you could easily spend the entire day climbing the rock formation. Again, you won’t have to travel far from Kandy to find some amazing attractions. On your third day, you should wake up early and head 5.5 km to the west. Here, you will find the Royal Botanical Gardens. The gardens attract more than 2 million tourists every year. It expands over an area of 147 acres. You should end your day early and enjoy some of Kandy’s night life. There is really plenty to enjoy here. The Royal Bar is one of the best establishments. The Pub is another one. It is located on Dalada Veediya. On day four, it is time to enjoy some of the best sports in Sri Lanka. Head on over to the Pallekele International Cricket Stadium. The stadium is located in the heart of Kandy. The stadium is one of the best stadiums for cricket in the entire country. After the game, check out the Horton Plains National Park, which was established in 1969. Since it is 12.2 square miles, you won’t get to see everything. Nevertheless, you should at least enter the park and see everything that it has to offer. For dinner, head on to the Foodlands Restaurant. This restaurant is located in Kandy and it offers plenty of delicious foods. In fact, you’ll be able to choose from Chinese, Indian and Italian dishes. No matter what you’re after, you can guarantee that this restaurant is going to satisfy your needs. After that, you may want to take a walk across the local beach at night. Grab some souvenirs at some of the fine shopping establishments located in Kandy. For starters, you’ll want to visit the Kandy City Center. There are plenty of great shops here. Then, you should visit the Kandy Market Hall.